I didn't have the pleasure of going fishing with Lacy, which is quite strange because we were so regularly in touch. Our times spent together would be on administrative things or looking at projects, such as walking around new or potential fisheries. The only time spent with him at matches was in my early days when he picked me up to go fishing in matches that his brother Percy had put us down for. Two such matches remain clear memories for me; they showed me at our early stage in my life, the true character of the man and his clear angling skills. 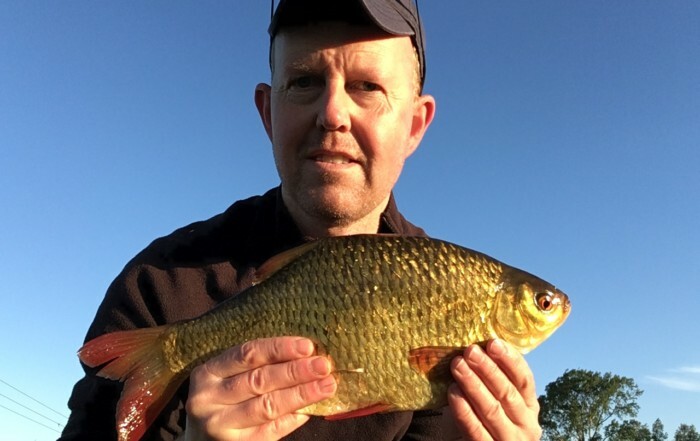 One match was on the Ouse at Tempsford and the other was on the Cam at Clayhithe, both were 200 peg events and both had junior sections in which I had been entered by Percy. The Tempsford match was held in the winter. For a 13-year-old lad who had not been too far in life, Tempsford was a big experience. On the morning of the match my dad dropped me off at Percy’s house in Newmarket Road at 5.30am. The house was full of people, some with funny accents: “How doo, me dook”, “Tha nows”, “Neh lad” and “Ey up lad”. The house was hot, smokey and smelled of fry-ups. Percy’s mates from up North had come to fish the match. Little did I know that amongst them were the legendary Ivan Marks, Benny Ashurst, and Benny’s son Kevin. Percy had an old Bedford van. I was told to load the old guy’s wicker basket, neat and tidy in the back, along with the canvas groundbait bags that were all the rage then, plus the leather rod holders and umpteen biscuit tins of maggots. Me and this lad with white hair – yes he ended up being called Snowy, spent ½ hour loading the tackle, wicker basket on top of wicker basket, until there was only just enough room to lie down on top of the baskets without touching the roof of the van. Percy, George and Mick got into the front, a bloke called Tony got in the back, Snowy and I looked at each other. “Get in lads”, Percy growled. Yes, Health and Safety, the Child Protection Act, Police turned a blind eye. We had to lie on top of the baskets. It was like laying on a bed of nails, we rolled around, and stank of maggots, petrol and fags. When eventually got there I stood in amazement at this huge river; I had never fished anything like it. There were loads of anglers at the draw from all over the country. “Ello Percy! I’m drawn on peg free” (three), a lad from the smoke (London) said. “I caught owt there, thy knows last time, oout me dook”. I stood around for ages while the oldies supped tea, smoked, and talked in this strange fashion. Eventually Percy decided he would set off. “Get in son”, I jumped into the van and off we went. The only instruction I had was “your pegs over that ploughed field”. I wasn't’t told how to fish it but a rather kind Percy gave me a biscuit tin full of maggots. I lugged my tackle over the field and eventually found my peg. I had a 6 ft rod. I knew, though, it was important to plumb up. My float disappeared; I had never fished water so deep. I couldn’t cope with this, and I could only fish at 4 ft not 15 ft!! The river was flowing hard, having had some recent rain. I had two bushes each side of my peg. I decided my only option was to fish close in at 4ft near the bush. I just cannot remember my weight, but think it was around a pound of small bleak and Dace. I weighed in and the bloke said very well done. I didn’t realise the river had fished very badly, and for the junior Section of 15 to 20 lads it would mean I had come second. I didn’t know this while I sat by the road as darkness fell. I waited for ages and ages - Percy was in a café with his mates in St.Neots. He had completely forgotten about me. Then I saw in the distance a car slowing down and Lacy got out. It was only the second time I had met him. “What’s happened?” “I’m waiting for Percy!” you did very well, you came second, here is your prize. A magnificent presentation box with 20 or so floats, the top ones of the time, zoomers, stick floats, the lot. Lacy loaded my gear into his car. He made me take my wellies off as they were muddy, which was fair enough as the car was spotless. We didn’t have mobile phones in those days so Lacy didn't know where Percy was, but he had a good idea. We drew up at the café; Lacy got out and walked briskly to the steamy greasy spoon. “Come on Graham, bring your prizes”. There was Percy with his mates Ivan and Co. This was the only time I witnessed Lacy rip into his brother. “You forgot to pick this lad up, bruvvor!” “He did very well; he should have received this prize at the presentation!” I hid behind the pillar. “No, noo bruvver, I left it to you to pick him up!” Percy replied. Ivan spoke to me and asked what had I caught? He said to Percy “Is this one of your young stars?” Percy replied, “He’s got learn a lot and speak up”. “Don’t worry Lacy, it will build the lad’s character. I stood shivering. Lacy and I set off home in his lovely new car. The second match was on the Cam and again it was on a hard day. 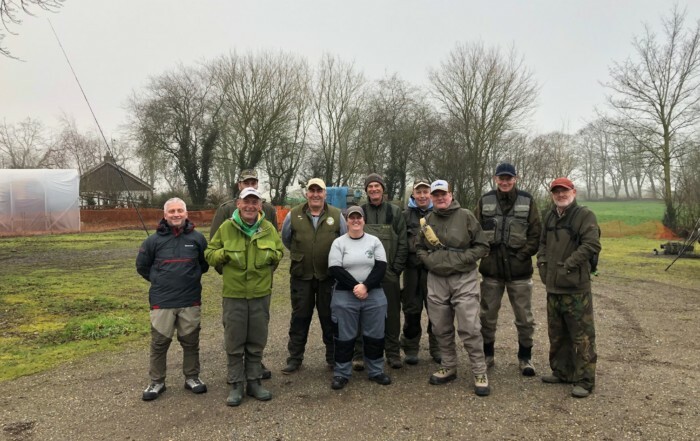 Two hundred anglers lined the banks - I was peg 2 at Clayhithe Bridge on the concrete. A favourite place for me, even to this day. The old guy below me packed up and so I was left on the end peg. With a third of the match to go Lacy walked up; he had packed up. Those of you who knew him would know that Lacy was not the luckiest of match anglers and would regularly draw rubbish. Anyhow, you must appreciate that I was use to Percy barking his orders. 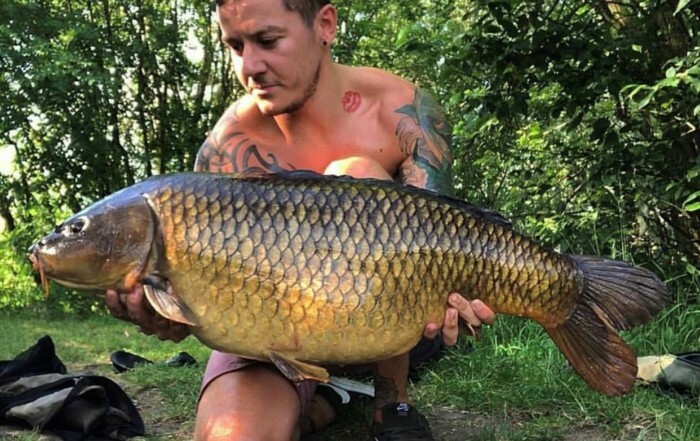 In modern day angling coaching you don't say: “That’s rubbish son, you are doing it all wrong!” That was Percy’s way. Lacy was completely different. He looked at what I was doing and said:” your gear is right for the river but you need to consider the conditions”. I was fishing a light small tipped stick float trotting the stream. The trouble was that there was a down stream wind and so it was all over the place. Lacy rummaged around my tackle. Do bear in mind I had those posh floats. He set up a 3BB stick with a dome top and put a back shot on my line. He explained it all to me. Try this Graham. The float went true and straight down my swim, dipped and I had a 6oz Roach, then another. A brilliant lesson from a true gentleman. I wish I had fished with him some more, but at least we spent 40 years on taking our club forward.